Hello! My husb and I are also doing the diaper experiment in our household. heh! 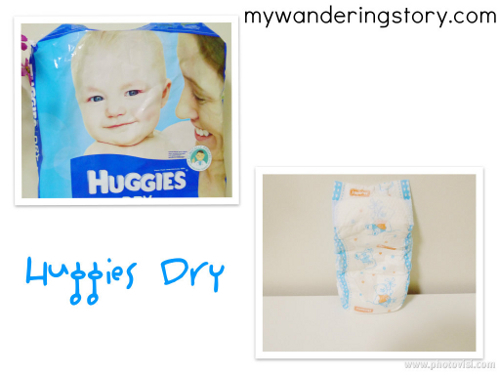 So far, we've tried Huggies, Drypers, Mamy Poko and Babylove. 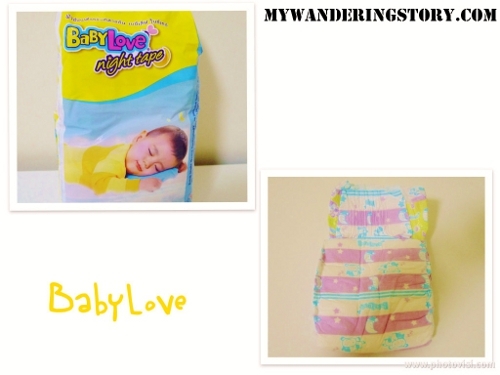 Personally, we love Babylove best because it is super absorbent and rather affordable. Mamy Poko comes next in the line. If you've budget, you can try Merries also. I heard it is very good too. Oh, thank you for the recommendation. I heard about Merries from my friend in Indonesia but have not really seen that in supermarket here. I'll try to hunt Merries and Babylove when I have the chance then. I think Babylove is from the same manufacturer as Pet Pet. Yes, agree with Mrs. Tan, Babylove Night diaper is the best so far... u can request for their sample before u buy the whole pack. or visit their facebook for free diaper swap. 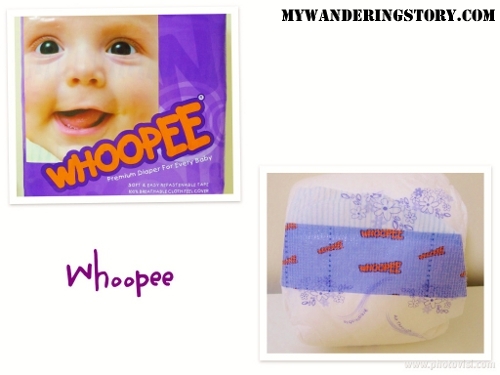 hi, just to check do u still have whoopee size S in your house? if yes, i would like to buy it from you. Hi, it's already opened and I think it's cheaper if you buy that outside, considering the delivery costs etc.. When I was pregnant and researching cloth diapering, I wanted to try all the different kinds out. I bought one or two of nearly everything: different brands of prefolds, all sorts of All-In-Ones, pocket diapers with snaps, pockets with velcro, etc etc! I always got mine at Giant. But, I don't live in KL though. hi..i am very happy with your articles. its very useful for me..thanx. i use Huggies Total Protection (red packaging) for day use and Mamy Poko for night use. 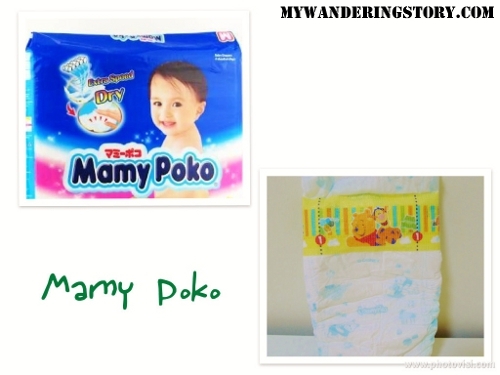 Mamy Poko is soft and dry but it stinks!! Just bought Huggies Ultra and Diapex Premium...will try soon. I've tried Diapex, Huggies, Drypers. Below is my experiences while experimenting on my daughter who has sensitive skin. Diapex: redness & doesn't absorb well. Didn't buy them, used free samples given during few expos. Huggies: using it since newborn. Good absorbency, no redness, flexible tape. But please AVOID buying the Huggies Natural wipes, it causes redness, rashes, pain & contain too much alcohol (I guess from smelling it) even though the name says natural. Worst experience ever. 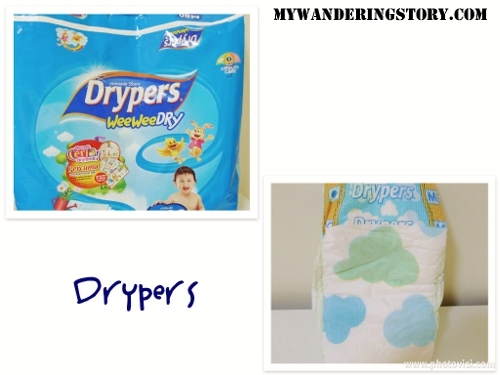 Drypers Pantz: switch from Huggies diapers to Drypers. Good absorbency & I might be influenced by the "breathable cotton" feature. Now using Drypers Pantz type. Good absorbency, flexible stretch, no redness. Have switched to cloth diapers after she turned to 6 months old. 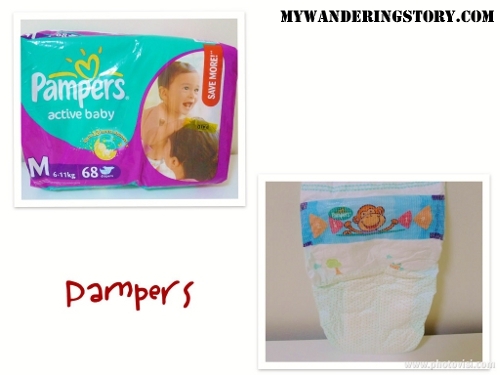 Only use disposable diapers during long travel or no cloth diapers available coz waiting for them to dry/too lazy to wash frequently. Looking into buying Diapex :) thank you so much for the review. It helps a lot. Thanks for the review, really really details. 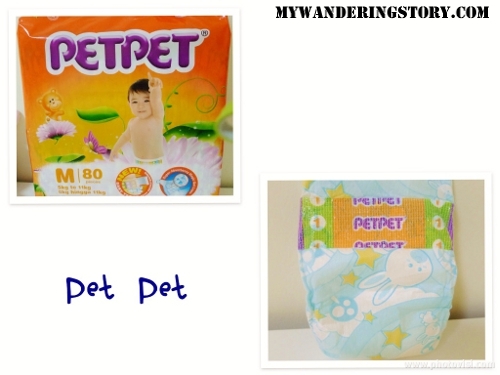 I will get a suitable diaper for my son. Very useful reviews! Specially for new moms... Thanks for sharing. Btw, many of my friends recommended me to use Tesco diapers as they are cheaper and thicker.